Evernote made a name for itself as the platform where you could store your ideas and notes for life, and beyond. But the same permanence does not apply to the people who work there. We’ve confirmed through multiple sources that Linda Kozlowski, Evernote’s COO, has put in her notice and will be leaving the company by the end of this year. It’s the latest in a series of recent twists and turns at the popular startup: this year has seen Evernote appoint href="https://beta.techcrunch.com/2015/07/20/evernote-executive-shuffle-chris-oneill-named-ceo-phil-libin-executive-chairman/"> a new CEO, face layoffs, close offices, and kill off products. It’s not clear why Kozlowski is going, but it’s notable for its abruptness: Kozlowski has been with Evernote for just over three years, but only took up the COO role this past summer. It’s also notable when tracking what else might follow. Watch for departures of at least four more executives in the months to come, our sources say. Kozlowski’s departure after such a short time in the role underscores the upheaval at Evernote at the moment. Evernote, founded in 2007, counts over 100 million users of its note-taking and organizational mobile and desktop apps, and it has raised some $290 million in funding from investors like Sequoia, Morgenthaler and (most recently) Japan’s financial media giant Nikkei. But more recently, the company seems to be in disarray. It has been slammed for having a lack of product focus — rolling out and closing a variety of vertical apps and services, putting resources into a physical goods market when the core product is an app. And it’s been criticised for failing to convert enough users from free to paying tiers. 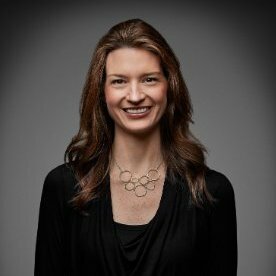 During her tenure, Linda has worked tirelessly to bring Evernote to individuals and teams around the world. As VP of Worldwide Operations, she ran all of Evernote’s global initiatives and oversaw the expansion of Evernote into China and Brazil. More recently, Linda directed Evernote’s global pricing strategy, which culminated in the successful launch of the new Evernote Plus and Evernote Premium tiers. All important milestones for Evernote, for sure. But as the startup continues, in the words of O’Neill, its focus on growth and expansion for tomorrow, users and Evernote’s staff itself will probably be wondering what further changes will happen today. Evernote and Kozlowski did not respond to requests for comment.